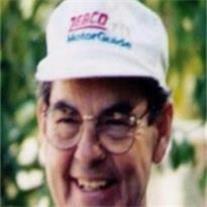 Greg Shura, 76, died on February 8, 2012 in Gilbert, AZ. Greg was born in Hawaii to Myrtle and Elias. He served in the Navy during the Korean War. He worked as a supervisor for General Motors Proving Grounds in Mesa, AZ. Greg enjoyed fishing and family. He was generous and selfless, always helping others. He was preceded in death by his parents and sister, Sonia. He is survived by his wife Jan, brother Glenn, sons Ty and Matthew, daughter Blair and grandchildren Tyler, Tristan, Paris, Fox, Cruise, and Tripp. There will be a Remembrance at the Shura’s home on Sunday, February 12th at 2:00pm.